KATHMANDU, June 21: Tourism entrepreneurs say a 101-point plan announced by the newly-elected Kathmandu Metropolitan City (KMC) Mayor Bidya Sundar Shakya to be executed in the first 100 days has not prioritized tourism sector. Saying that the tourism sector wants early restoration of heritage sites damaged by the 2015 earthquakes, regular clean-up campaigns, parking management and peaceful environment in the city, they say that the plan to provide free Wi-Fi Internet service was a misplaced priority. 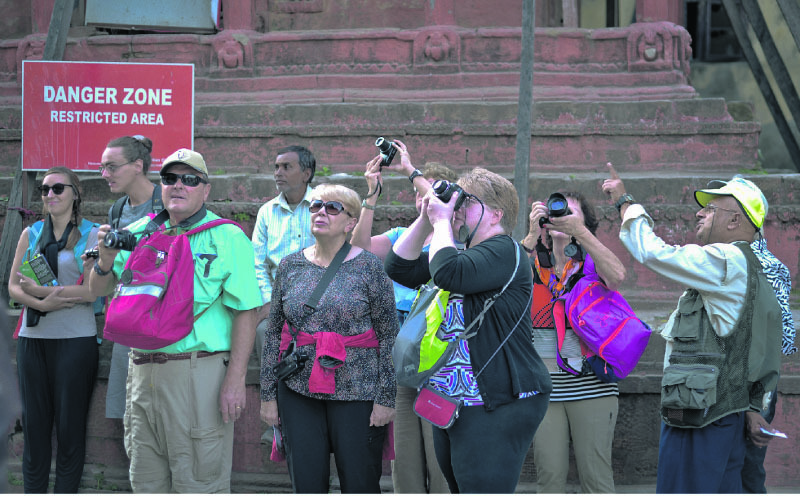 Tourism expert and hotelier Karna Shakya said efforts should be made to provide hassle-free services to tourists. He also said that tourism establishments playing live music or running other musical shows should be made to install sound-proofing walls so that it does not disturb others. Sameer Gurung, the president of Thamel Tourism Development Council (TTDC), said the metropolis should declare Thamel vehicle-free area. “There is also a need to manage tangled utility wires build proper roads,” he added. Though bringing a work plan for development and promotion of cultural heritage sites features in the 101-point list, tourism entrepreneurs say nothing is being done in this direction. However, Nama Raj Dhakal, the assistant spokesperson for KMC, said it was too early to comment on the mayor’s plan. “We are preparing detailed plan to execute his vision,” he added. “Wi-Fi is not meant for tourists only. If we are to develop Kathmandu as a smart city, we cannot leave Internet out,” he added. Dhakal also added that KMC was planning to launch tourist bus service in tourist areas. Tourism entrepreneurs have urged the metropolis to execute programs for revival of tourism at the earliest. 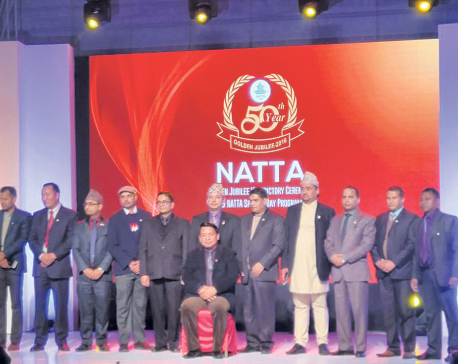 TTDC President Gurung said it was high time the government explored new tourist destinations. “Unfortunately, we are still tangled on the same old problem of infrastructure and pollution for the past many years,” he added. Dhakal further said that restoration of cultural heritage sites is the metropolis’ first priority. “But it takes time to complete all works of restoration. I urge one and all to show patience; I assure you the KMC will bring change,” he added. Stating that electricity problem has already been solved and problem of water supply and roads about to be sorted, tourism expert Shakya said time has come for all stakeholders to work in coordination to make the change sustainable. Tourism stakeholders are hopeful that tourism will get priority in the metropolitan city’s policy and programs. Dhakal said that KMC will consult with tourism entrepreneurs while formulating policy and programs for the tourism sector. Not laughing at him, definitely not!